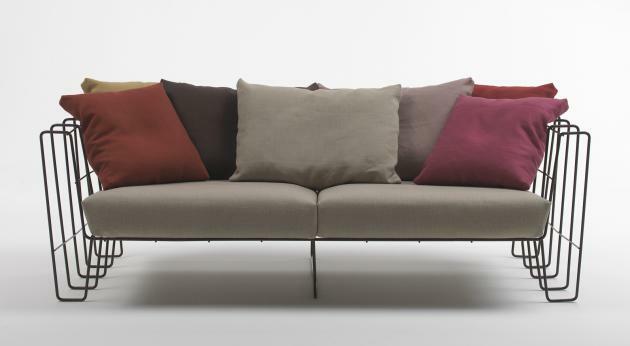 At the 2009 Milan Furniture Fair, the Italian manufacturer Living Divani will introduce the Hoop Sofa that has been designed by Arik Levy. With its coloured, tubular metal structure – a geometric pattern of hoops that join together and intersect to create a light illusion of full and empty spaces – the sofa is covered with cushions for maximum comfort. This versatile piece has been designed for both indoor and outdoor use. “I wanted to create a light, outdoor seat, that seems to float in the air and conveys an aura of conviviality. 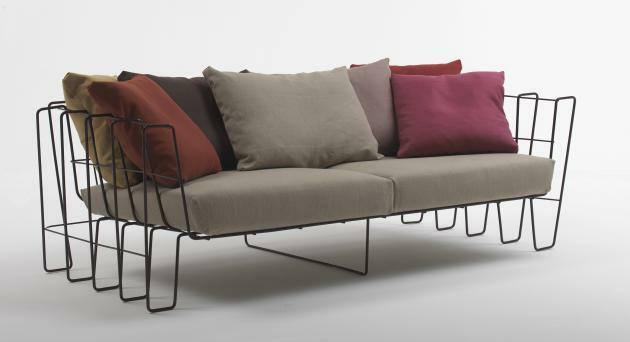 A sculpture for the garden, comfortable and easy to maintain” says Arik Levy, talking about his design for Living Divani. Visit the Living Divani website – here. Visit Arik Levy’s website – here.